nerships, so we get a share of the revenue from your purchase. Best of luck with wearing this grungy look! If you think wearing leather jackets is the epitome of being stylish, Kangana Ranaut is here to change your mind. The actress was seen at the airport yesterday in a very rock chic look. What was she wearing, you ask? A leather top, matching boots, and blue denims. Who would have thought that a grungy chic look can be so easy to carry? Check her out. If you want to nail a similar look, here’s how to go about it. 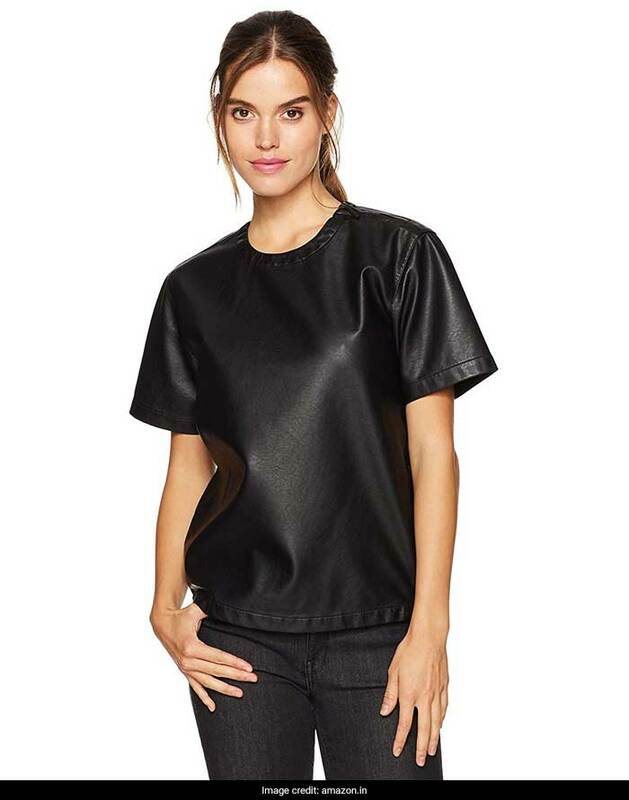 For starters, get this Kenneth Cole faux leather moto T-shirt. We love the look of this piece in addition to how effortlessly chic it is. Priced at Rs 6,232, you can get this here. Or you can get this Miss Chase sleeveless faux leather top. Although this is different from what Kangana wore, this will make for quite a bold outfit. This top makes for a good way to wear leather in summer. Priced at Rs 728, you can get this here. Want to go bolder? Go for this Hunputa sleeveless spaghetti tank top. This strappy faux leather crop top will make for a very sultry party look. Wear this with a black or even a silver metallic skirt for the complete look. Priced at Rs 487, you can get this here. If you want to go for a fine balance of bold and chic, this Spice It Up faux leather knotted crop top. This will look great with blue denims. Priced at Rs 1,099, you can get this here. 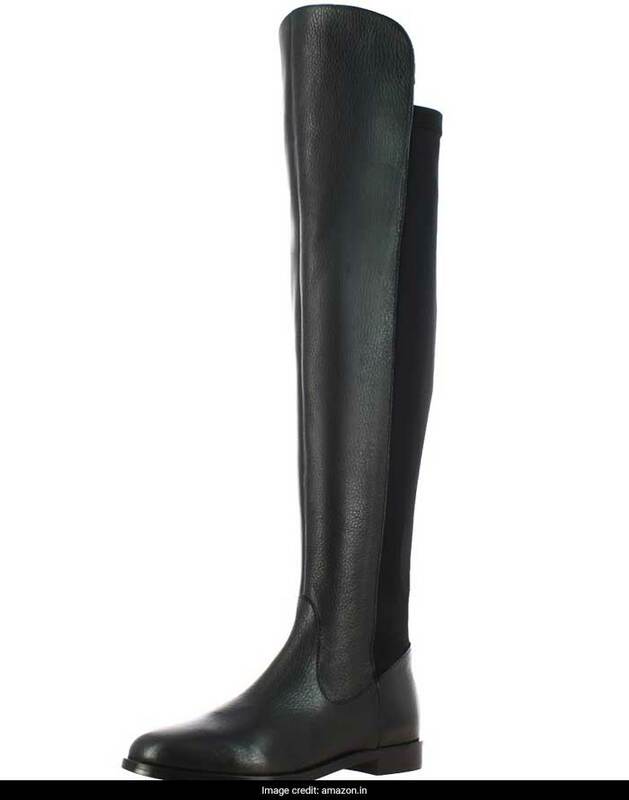 As for shoes to complete the look, get this pair of Saint G black Napa leather long boots should complete the look amazingly. The zip closure allows for easy handling. Priced at Rs 7,999, you can get this here.